We are grateful you have decided to search for homes in this neighborhood at this website. This is the best Ashwood Bluff homes and real estate portal. 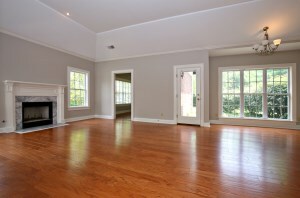 Here you can find every available home for sale in Ashwood Bluff. 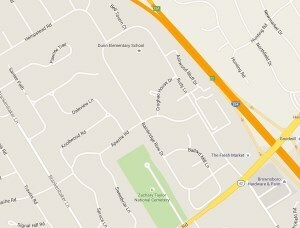 Which means, this is where you can find your home in Ashwood Bluff. Homes in this neighborhood come in all shapes and sizes. Some are single story, some are two story. There are bi-level homes and cape cods. The exterior of the homes vary from brick to siding. All of the homes here are absolutely beautiful. This is a smaller subdivision in a great location. Honestly, homes in this neighborhood don't come up for sale very often. If there are no homes currently for sale in this subdivision, simply check back occasionally. Homes come on the the market and then get sold consistently. The real estate market is constantly changing, so daily updates are a good idea. There are a couple of different ways to go about doing that. One way is to manually return and see if a home is currently for sale. Another option is to register to be notified the instant a home is for sale in this neighborhood. Another option is to have one of our Louisville Realtors do all of it for you with no cost to you. 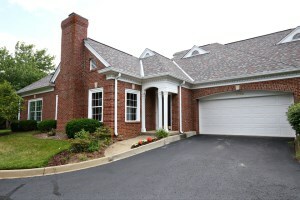 Ashwood Bluff is a fantastic neighborhood in Louisville Ky. Located just off Brownsboro road near the Watterson expressway, this neighborhood has its own shopping center called Brownsboro Point. Brownsboro Point is new and offers such stores as Panera Bread, Fresh Market, Sherwin Williams, Great Clips, Wellness MD and a fitness club. Right across the street is another strip mall called, "Brownsboro Center" with a Stockyards Bank, an Animal Clinic, a Party Mart, a local Hardware Store, a barber shop, and the Gasthaus German restaurant. The Gasthouse German Restaurant might be the best German food in Louisville. 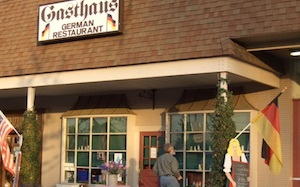 The owners are German and create the most delicious German food imaginable. Both shopping centers are literally right in the the neighborhood. These shops and dining establishments are literally in walking distance. As if that isn't enough, jumping in the car gives residence immediate access to I-264 interstate. One exit away to the north is the I-71 Highway. Two exits south is the I-64 highway. One exit south is Shelbyville road where the Oxmoor Mall and the Mall St. Matthews are located. The shopping areas within a mile radius are abundant. Combined with easy freeway access, the location of the Ashwood Bluff neighborhood is ideal. The homes here are large and beautiful. The neighborhood is so desirable homes seldom come on the market and are available for sale. if there is a home currently for sale it will be listed below. To learn more about the home listed below, just click the "Request More Information" button on the property listing page. And, if you haven't already, be sure to search for Louisville Real Estate so that you can receive email alerts whenever new homes for sale in the Ashwood Bluff neighborhood of Louisville Ky come on the market. For more information about the area Ashwood Bluff neighborhood is located in, or general information about Homes in Louisville, please visit Ashwood Bluff Homes for Sale.